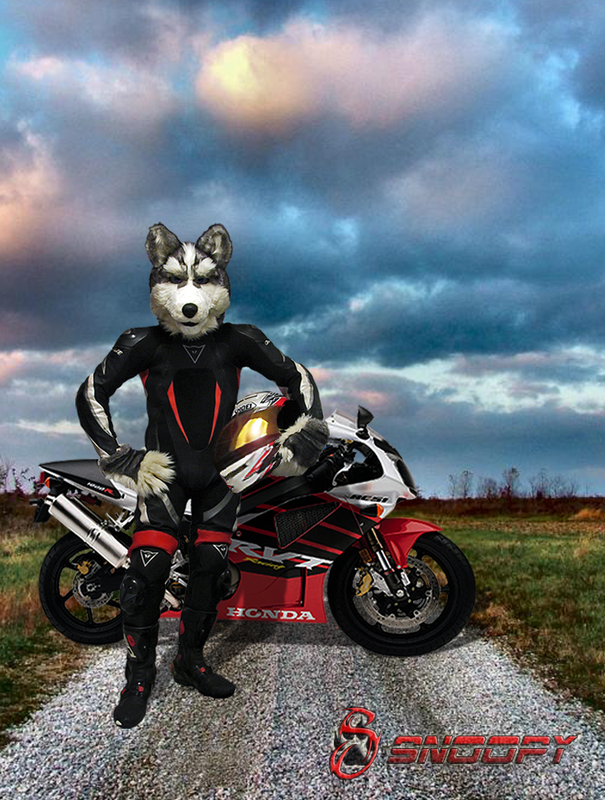 Went for a ride yesterday while the weather was nice and took a pick of myself in my racing leathers. Submission file edited 22/9/2011: Finally figured out what was bugging me about this image... part of the shadow was missing! Corrected! Submission file edited 24/9/2011: Still not satisfied with the last version, i decided to go back in and fix some annoying parts of the image. Hopefully this will be the final edit... maybe!